Tyrol Basin Gift Certificates are the perfect gift for Christmas, Birthdays, Promotional Items, or just to say Thanks! They are delivered via Email and can either be printed or displayed on a phone/tablet. 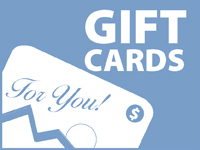 You determine the amount you want to load on each card and the value remaining on the gift card diminishes as it is used throughout the resort. There are no fees or expiration dates and no waiting to be mailed - they are emailed and activated instantly!